Hello, friends! 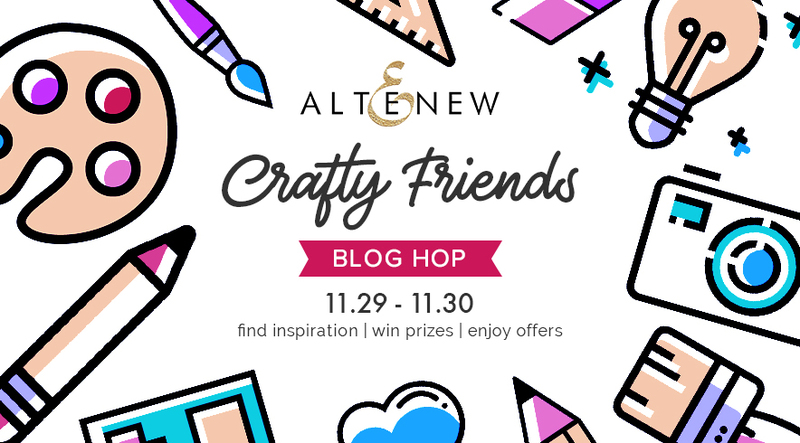 Welcome to Day 2 of our Crafty Friends Blog Hop! When most of us think of our crafty friends, I’m sure we think of people we met through crafting, who later became our real friends. I definitely have many of those, and they are all friendships I am grateful for! But does it work the other way? For me, the answer is YES! Meet Ashlea, a girl I chatted with quite a few years ago in a parking lot on my way to a friend’s birthday dinner. She commented on my interesting purse (it looked like a milk carton), and I think we had this mutual moment where we thought the other one was cool. But adults don’t make friends in parking lots, so we continued on our separate ways. That is until we realized we were headed to the same event! It was a good thing too because we were able to continue chatting during dinner and a true friendship started. After explaining card making to her many times (and her not seeming all that interested), she finally started to get how awesome it was. At least, she started understanding how cool I thought it was, and maybe that was good enough? When she told me she started buying a few stamps and ink pads, I did a happy dance! Literally. Then I offered to give her all of my old stuff that I told myself I would sell but never got around to it. She happily accepted, and before I knew it she was cranking out AMAZING cards, and buying oodles of crafty stuff to support her new hobby. This girl learned everything she needed to know about the paper crafting world in what seemed like a matter of months. It took me years to do the same! I used one of our new holiday stamps, Peaceful Wreath, and stamped out a little sprig of holly using Grass Field and Shadow Creek ink for the leaves and Crimson and Velvet ink for the berries. I then cut it out using the coordinating die. While I had my dies out, I also cut out the word “peace” from black cardstock. Then, I stamped out the sentiment “to you and yours” in Watermark Ink and heat embossed it with Pure White Crisp Embossing Powder. I trimmed down the strip and cut a little notch into either end to create a banner shape. For my background, I stamped the solid layer for the leaves and berries with Firefly and Blush inks. I felt they were a little too pronounced, so I softened the look with a sheet of Translucent Vellum. I adhered the elements together with a combination of foam tape and tape runner, making sure to secure the vellum with a bit of adhesive behind the cardstock pieces (so it doesn’t show through). To ground the card, I adhered a strip of patterned cardstock (Coming soon! Sneak peek alert! hehe) across the bottom edge, similar to Ashlea’s card. If you want to see more of my crafty friend Ashlea’s projects, check out her blog and follow her on Instagram! Your first stop on the hop is the incredibly talented Vicky Papaioannou! Love “hopping” with you…so much talent! Love this card and the technique is genius. The wreath is so cute! 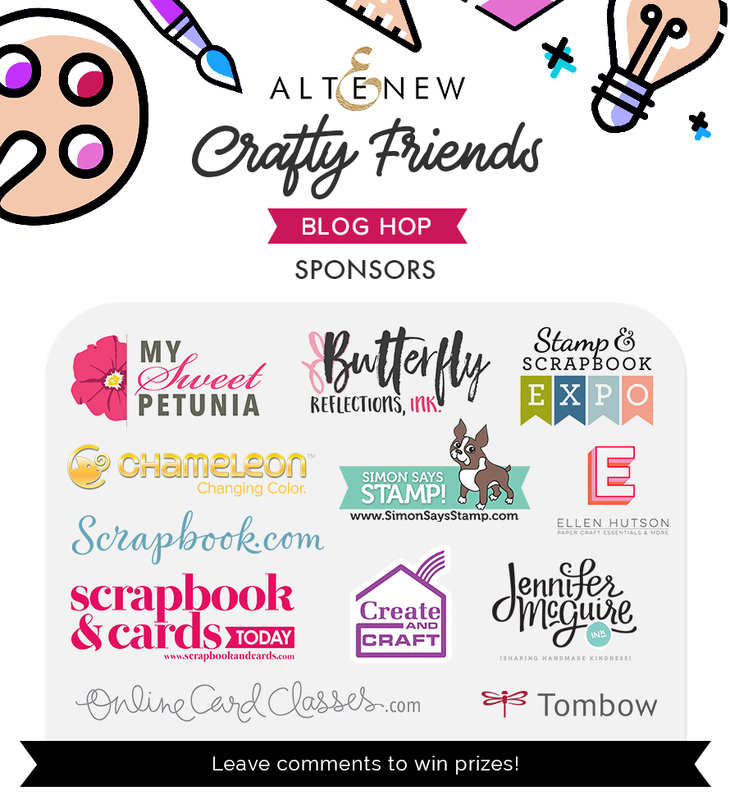 Thank you so much for celebrating crafting and friends .. they go hand in hand! What fun memories! I like both of your cards and think I need to try that idea of using one layer for a backgreound! Thanks for the inspiration and sponsoring this fun hop! I absolutely love the background of your cards! So pretty. Thanks for sharing and a chance to win. I caught the crafty bug from my best friend! I go to her home quite often and happily work on different projects. Thank you Sherry . Fastidious respond in return of this issue with genuine arguments and telling everything concerning that.